Twickenham Stadium has launched a new series of both indoor and outdoor incentive options for event organisers. The new products have been released as part of the venue's #incentive Campaign, which is encouraging event organisers to align their own business values to those of the Home of England Rugby. The venue already offers a wide range of outdoor experiences, using its pitch-side facilities, all capable of hosting over 1,000 delegates. The incentive extensions allow event planners to combine traditional indoor conferences and meetings with an outdoor element, linked to the unique personality of the stadium. In addition to the existing incentive and outdoor options available to meetings and events professionals will be the launch of the stadium's 2018 summer BBQ packages. 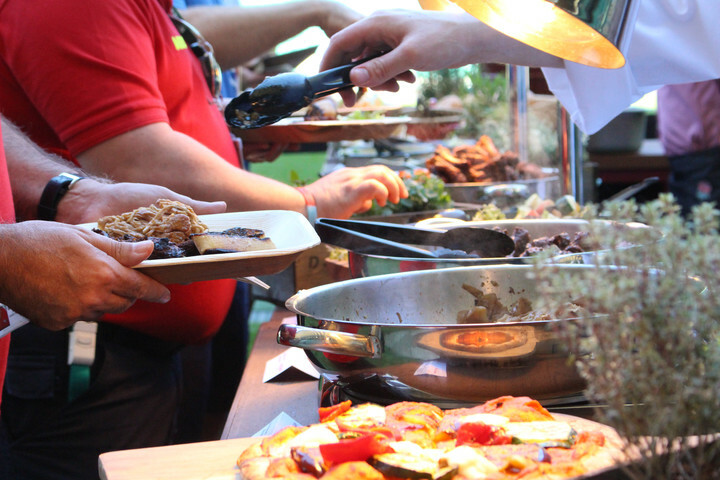 These options offer delegates pitch-side views while the venue's highly skilled chefs prepare and cook a premium quality BBQ in front of guests. The menu, which includes vegetarian and vegan options, will showcase great British flavors at the Home of England Rugby, and includes traditional BBQ, roast-on-a-spit, and homemade pizzas from a wood-fired oven. The new pitch-side dining complements the venue's existing options, from informal drinks receptions, to the chance to experience and network within the England changing room and players' tunnel. Entertainment is also on offer, some event organisers choosing to take to the stand to watch pitch-side displays from the iconic New Zealand haka'. Other outdoor incentive experiences include its corporate teambuilding packages; the haka incentive package and the GPS treasure hunt packages both incorporate the stadium indoor and outdoor facilities. "We are constantly looking to challenge ourselves, and our customers, in the way meetings and events are put together at Twickenham," comments Nils Braude, Catering and Conference & Events Director, Twickenham Experience "Incentives are a great way to utilise the brand assets of both the venue and the wider rugby community, and we want to complement this with great food and flexible options where event professionals can get as close as possible to the pitch." Another way Twickenham has harnessed its outside offering is to use the pitch-side facilities for award ceremonies. Previous clients have built staging in front of the pitch to present the awards and utilised the jumbo and LED ribbon screens to announce and highlight the winners. In these instances, guests have been seated in the stadium's tiered seating and a drinks reception has taken place after the ceremony as part of the package.